A gifted guitarist and singer/songwriter from a small town in Massachusetts, Scott started his professional career with rock band Max Creek in 1972 at the tender age of 15 years old. 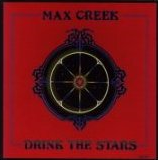 Heavily influenced by the improvisational style of the Grateful Dead, Max Creek developed a strong following for their live shows which often lasted three hours or more. Creek, as they are known, peaked in popularity in the late 1980s, when they would play more than 200 shows a year and hold their own yearly festival called "Camp Creek." Max Creek's had a strong influence on the early development of the jamband scene, notably Phish, whose bassist Mike Gordon has referred to Max Creek as one of his "favorite bands," and has sat in with the band several times. Scott's creative guitar playing helped fuel the longevity of Max Creek and propelled him into numerous other diverse projects including a solo album and roles in bands such as Depth Quartet, Ramble Dove, the Mike Gordon Band, and BK3.